I hope, anyway. Somehow this was the craziest season in recent memory, with all the legal stuff and a host of personal challenges, traveling, playing, teaching, etc. so the blog suffered a bit. And now my semi-annual oath to write a little more, maybe even something interesting once in awhile. To that end, here’s a new project that I hope will be the ultimate closure to that crazy violin saga…..
I’d hoped to get a Vol. 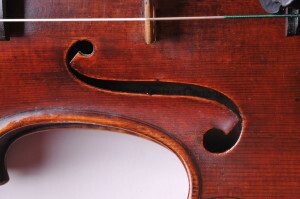 2 of A Violin’s Life out last year sometime, but those plans were derailed last summer as the legal process kept grinding on; in fact the whole thing wasn’t totally resolved until last January, almost a year to the day. So we’re finally ready to go- I think the repertory is a nice mix of the somewhat obscure with probably the most famous violin and piano sonata ever written, and all connected to this amazing instrument in some way. Many thanks to The Strad for this nice piece; I hope you’ll check out the link here and pitch in if you feel like it. Thanks to many generous donors we’ve gotten a few thousand in the first 5 days so we’re well on the way, but of course we want to keep the momentum going. Kickstarter backers made it happen last time, and I’m confident for this campaign as well. We’re looking forward to recording at the end of August and I’ll have both written and video updates to share. In the meantime happy summer to all! Thanks, James. Good to be here….